[NOAA] It’s official: GOES-17 is now operational as NOAA’s GOES West satellite. In its new role, GOES-17 will serve as NOAA’s primary geostationary satellite for detecting and monitoring Pacific storm systems, fog, wildfires, and other weather phenomena that affect the western United States, Alaska, and Hawaii. The latest milestone for GOES-17 comes exactly eleven months after the satellite first reached its geostationary orbit 22,000 above Earth. Launched March 1, 2018, GOES-17 is NOAA’s second advanced geostationary weather satellite and the sister satellite to GOES-16 (also known as GOES East). Together the two satellites provide high-resolution visible and infrared imagery as well as lightning observations of more than half the globe – from the west coast of Africa to New Zealand, and from near the Arctic Circle to the Antarctic Circle. Better weather forecasts for the Western U.S.
GOES-17 has already been helping forecasters track the weather and other environmental hazards in places like California, Alaska and Hawaii. The satellite began transmitting its first images from its new orbital position in November 2018. 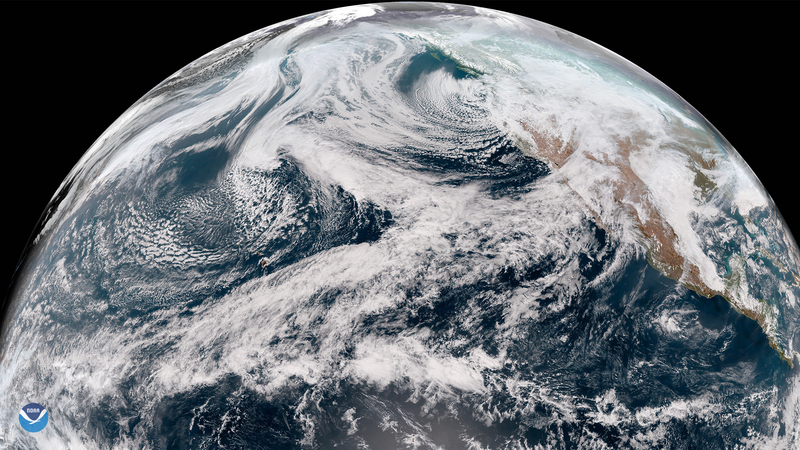 Since then, forecasters have been using GOES-17 data to see weather forming over the northeastern Pacific Ocean, where many weather systems that affect the continental U.S. first form. Until recently, high-quality data coverage of the Pacific Ocean was sparse. Now that GOES-17 data is available, however, forecasters have access to more detailed views of high-impact weather systems and other environmental hazards like wildfire smoke and volcanic ash. Among the benefits of GOES-17’s high-resolution and rapid-scan capability is its ability to detect wildfires and monitor smoke coverage in near real-time. The dry climate of the western U.S. makes the region especially vulnerable to wildfires. In 2018, for example, California faced one of its deadliest and most destructive wildfire seasons on record. Providing high-definition images as often as every minute, GOES-17 helps forecasters distribute critical information to firefighters and emergency managers that saves lives. Real-time imagery of smoke plumes from fires also improves air quality forecasts. The satellite’s combinable image channels (known as “multispectral imagery”) help forecasters distinguish between clouds, snow-covered ground and sea ice around Alaska’s coasts. These advanced imaging capabilities mean safer, more accurate aviation and shipping forecasts, especially during Alaska’s long, dark winter months, when visible satellite imagery is less useful. Now that it is operational, GOES-17 replaces GOES-15 as NOAA’s GOES West satellite. The latter entered service in December 2011. 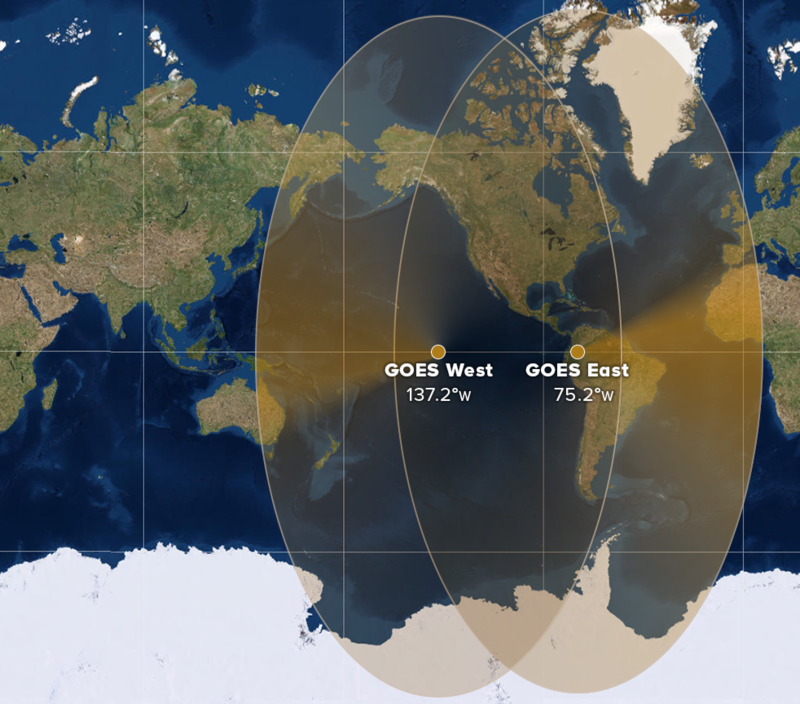 However, due to technical issues with GOES-17’s Advanced Baseline Imager – or ABI, the satellite’s main instrument – GOES-15 and GOES-17 will operate in unison until early July 2019. The overlap will allow scientists and engineers to make sure that GOES-17 is performing adequately before the older GOES-15 satellite gets placed in storage as a backup. “The GOES-17 ABI is now projected to deliver more than 97 percent of the data it was designed to provide, a testament to the skill and dedication of the engineers and all the GOES project team members,” said Stephen Volz, Ph.D., director, NOAA’s Satellite and Information Service.